Gross Weight (GVWR) 9600 lbs. The best days of your life are yet to happen! 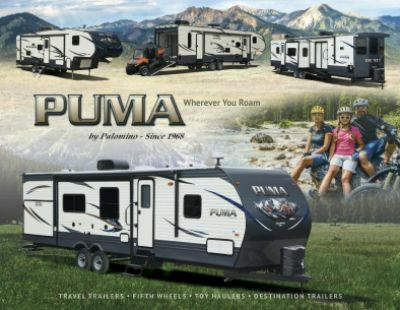 Every summer is amazing with the 2020 Palomino Puma 32RKTS! It's a great Travel Trailer for traveling families, and it's available now at All Seasons RV! As one of the largest RV dealers in the Midwest, you'll find a wide array of the nation's top brands! You can browse through our massive RV inventory on our site, or see them all for yourself on our lot at 4701 Airline Rd Muskegon Michigan 49444! Even if you don't live near Muskegon, MI, you can still enjoy the use of our 24/7 nationwide delivery service! To talk to our Puma expert, just give us a call at 231-739-5269! We'll get you in the RV of your dreams in no time at all! Traveling with this reliable RV is a breeze, especially with its GVWR of 9600 lbs! Along the side of the exterior there is a 18' 0" awning, so you can enjoy shade and comfort whenever you lounge outside! 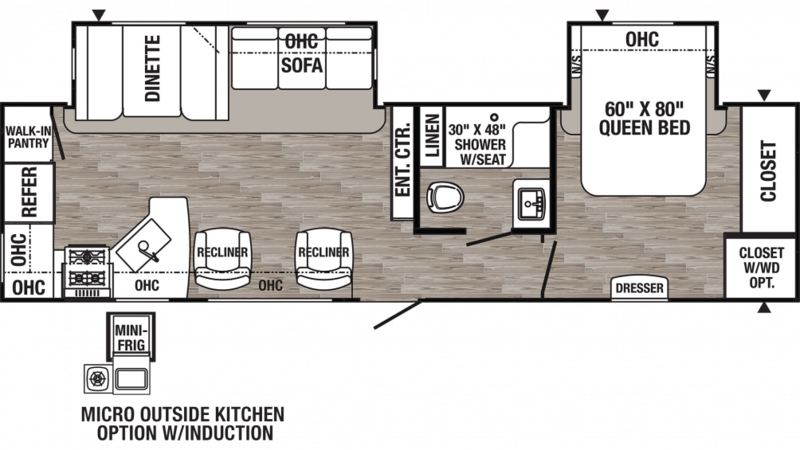 This RV is 35' 7" long, 8' 0" wide, and has 2 slides that maximize the interior area! That means roomy comfort especially when the weather outside turns sour. But whether its sizzling hot outdoors or bitter cold, the efficient 35000 BTU furnace and modern 13500 BTU a/c unit will keep the climate indoors comfortable no matter what! The comfort of home travels with you in this Travel Trailer! It has enough cozy sleeping accommodations for up to 6 people, and the bedroom is perfectly snug and private! Its Queen bed is heaven sent after a long, tiresome day on the road!